The neighboring house is about 20 meters away from the main house. 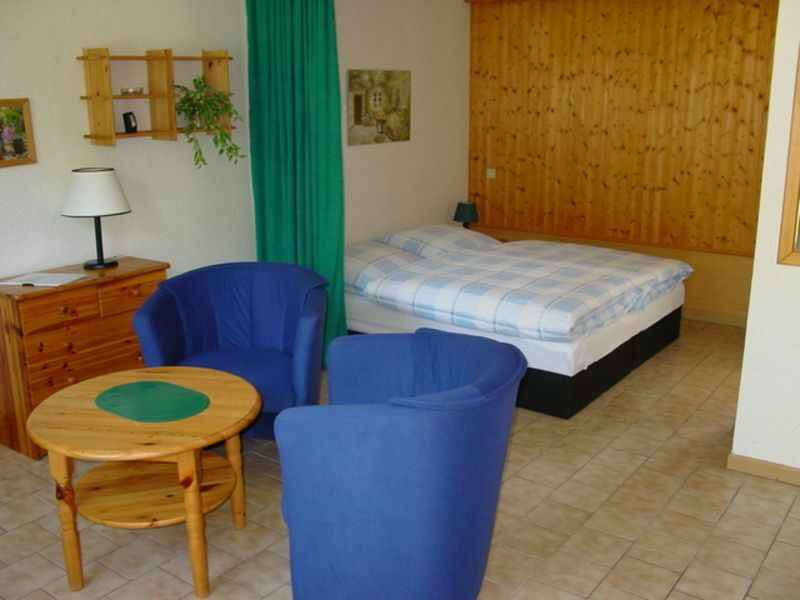 The 4 holiday rooms are individually furnished with sitting area with armchairs and a double bed and a small bathroom. It consists of a combined living room and bedroom. A small fridge is available in the apartment. Each room has its own small terrace with seating and parasol. Take advantage of the large complex of our guesthouse with direct water access, which is reserved for our guests. A rich breakfast buffet awaits you every morning.